Engineering ethics is the field of applied ethics and system of moral principles that apply to the practice of engineering. The field examines and sets the obligations by engineers to society, to their clients, and to the profession. As a scholarly discipline, it is closely related to subjects such as the philosophy of science, the philosophy of engineering, and the ethics of technology. The first Tay Bridge collapsed in 1879. At least sixty were killed. As engineering rose as a distinct profession during the 19th century, engineers saw themselves as either independent professional practitioners or technical employees of large enterprises. There was considerable tension between the two sides as large industrial employers fought to maintain control of their employees. In the United States growing professionalism gave rise to the development of four founding engineering societies: The American Society of Civil Engineers (ASCE) (1851), the American Institute of Electrical Engineers (AIEE) (1884), the American Society of Mechanical Engineers (ASME) (1880), and the American Institute of Mining Engineers (AIME) (1871). ASCE and AIEE were more closely identified with the engineer as learned professional, where ASME, to an extent, and AIME almost entirely, identified with the view that the engineer is a technical employee. 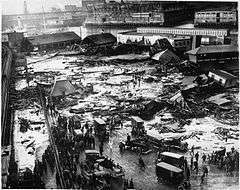 The Boston molasses disaster provided a strong impetus for the establishment of professional licensing and codes of ethics in the United States. When the 19th century drew to a close and the 20th century began, there had been series of significant structural failures, including some spectacular bridge failures, notably the Ashtabula River Railroad Disaster (1876), Tay Bridge Disaster (1879), and the Quebec Bridge collapse (1907). These had a profound effect on engineers and forced the profession to confront shortcomings in technical and construction practice, as well as ethical standards. One response was the development of formal codes of ethics by three of the four founding engineering societies. AIEE adopted theirs in 1912. ASCE and ASME did so in 1914. AIME did not adopt a code of ethics in its history. Concerns for professional practice and protecting the public highlighted by these bridge failures, as well as the Boston molasses disaster (1919), provided impetus for another movement that had been underway for some time: to require formal credentials (Professional licensure in the US.) as a requirement to practice. This involves meeting some combination of educational, experience, and testing requirements. In 1950, the Association of German Engineers developed an oath for all its members titled 'The Confession of the Engineers', directly hinting at the role of engineers in the atrocities committed during World War II. Over the following decades most American states and Canadian provinces either required engineers to be licensed, or passed special legislation reserving title rights to organization of professional engineers. The Canadian model is to require all persons working in fields of engineering that posed a risk to life, health, property, the public welfare and the environment to be licensed, and all provinces required licensing by the 1950s. The US model has generally been only to require those practicing independently (i.e. consulting engineers) to be licensed, while engineers working in industry, education, and sometimes government need not be licensed. This has perpetuated the split between professional engineers and those in industry. Professional societies have adopted generally uniform codes of ethics. On the other hand, technical societies have generally not adopted these, but instead sometimes offer ethics education and resources to members similar to those of the professional societies. This is not uniform, and the question of who is to be held in the highest regard: the public or the employer, is still an open one in industry, and sometimes in professional practice. 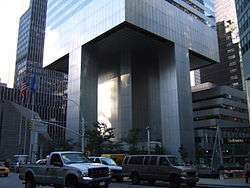 William LeMessurier's response to design deficiencies uncovered after construction of the Citigroup Center is often cited as an example of ethical conduct. Efforts to promote ethical practice continue. In addition to the professional societies and chartering organizations efforts with their members, the Canadian Iron Ring and American Order of the Engineer trace their roots to the 1907 Quebec Bridge collapse. Both require members to swear an oath to uphold ethical practice and wear a symbolic ring as a reminder. In the United States, the National Society of Professional Engineers released in 1946 its Canons of Ethics for Engineers and Rules of Professional Conduct, which evolved to the current Code of Ethics, adopted in 1964. These requests ultimately led to the creation of the Board of Ethical Review in 1954. Ethics cases rarely have easy answers, but the BER's nearly 500 advisory opinions have helped bring clarity to the ethical issues engineers face daily. Currently, bribery and political corruption is being addressed very directly by several professional societies and business groups around the world. However, new issues have arisen, such as offshoring, sustainable development, and environmental protection, that the profession is having to consider and address. Codes of engineering ethics identify a specific precedence with respect to the engineer's consideration for the public, clients, employers, and the profession. Many engineering professional societies have prepared codes of ethics. Some date to the early decades of the twentieth century. These have been incorporated to a greater or lesser degree into the regulatory laws of several jurisdictions. While these statements of general principles served as a guide, engineers still require sound judgment to interpret how the code would apply to specific circumstances. Engineers shall hold paramount the safety, health and welfare of the public and shall strive to comply with the principles of sustainable development in the performance of their professional duties. Engineers shall perform services only in areas of their competence. Engineers shall issue public statements only in an objective and truthful manner. Engineers shall act in professional matters for each employer or client as faithful agents or trustees, and shall avoid conflicts of interest. Engineers shall build their professional reputation on the merit of their services and shall not compete unfairly with others. Engineers shall act in such a manner as to uphold and enhance the honor, integrity, and dignity of the engineering profession and shall act with zero-tolerance for bribery, fraud, and corruption. Engineers shall continue their professional development throughout their careers, and shall provide opportunities for the professional development of those engineers under their supervision. Institute of Electrical and Electronics Engineers: "We, the members of the IEEE, … do hereby commit ourselves to the highest ethical and professional conduct and agree: 1. to accept responsibility in making decisions consistent with the safety, health and welfare of the public, and to disclose promptly factors that might endanger the public or the environment;"
Institution of Civil Engineers: "Members of the ICE should always be aware of their overriding responsibility to the public good. A member’s obligations to the client can never override this, and members of the ICE should not enter undertakings which compromise this responsibility. The ‘public good’ encompasses care and respect for the environment, and for humanity’s cultural, historical and archaeological heritage, as well as the primary responsibility members have to protect the health and well being of present and future generations." Professional Engineers Ontario: "A practitioner shall, regard the practitioner's duty to public welfare as paramount." National Society of Professional Engineers: "Engineers, in the fulfillment of their professional duties, shall: Hold paramount the safety, health, and welfare of the public." American Society of Mechanical Engineers: "Engineers shall hold paramount the safety, health and welfare of the public in the performance of their professional duties." Institute of Industrial Engineers: "Engineers uphold and advance the integrity, honor and dignity of the engineering profession by: 2. Being honest and impartial, and serving with fidelity the public, their employers and clients." American Institute of Chemical Engineers: "To achieve these goals, members shall hold paramount the safety, health and welfare of the public and protect the environment in performance of their professional duties." American Nuclear Society: "ANS members uphold and advance the integrity and honor of their professions by using their knowledge and skill for the enhancement of human welfare and the environment; being honest and impartial; serving with fidelity the public, their employers, and their clients; and striving to continuously improve the competence and prestige of their various professions." 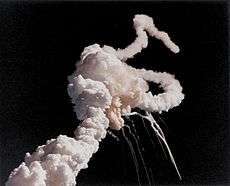 The Space Shuttle Challenger disaster is used as a case study of whistleblowing and organizational behavior including groupthink. A basic ethical dilemma is that an engineer has the duty to report to the appropriate authority a possible risk to others from a client or employer failing to follow the engineer's directions. According to first principles, this duty overrides the duty to a client and/or employer. An engineer may be disciplined, or have their license revoked, even if the failure to report such a danger does not result in the loss of life or health. In many cases, this duty can be discharged by advising the client of the consequences in a forthright matter, and ensuring the client takes the engineer's advice. In very rare cases, where even a governmental authority may not take appropriate action, the engineer can only discharge the duty by making the situation public. As a result, whistleblowing by professional engineers is not an unusual event, and courts have often sided with engineers in such cases, overruling duties to employers and confidentiality considerations that otherwise would have prevented the engineer from speaking out. Some engineering societies are addressing environmental protection as a stand-alone question of ethics. The field of business ethics often overlaps and informs ethical decision making for engineers. Petroski notes that most engineering failures are much more involved than simple technical mis-calculations and involve the failure of the design process or management culture. However, not all engineering failures involve ethical issues. The infamous collapse of the first Tacoma Narrows Bridge, and the losses of the Mars Polar Lander and Mars Climate Orbiter were technical and design process failures. These episodes of engineering failure include ethical as well as technical issues. ↑ The AIEE merged with the Institute of Radio Engineers (IRE) (1912) in 1963 to form the IEEE. ↑ AIME is now the umbrella organization of four technical societies: the Society for Mining, Metallurgy, and Exploration (SME) (1957), The Minerals, Metals & Materials Society (TMS) (1957), the Society of Petroleum Engineers (SPE) (1957), and the Association For Iron and Steel Technology (AIST) (1974). Neither AIME, nor its subsidiary societies have adopted a formal code of ethics. 1 2 Layton (1986) p. 35. ↑ ASCE (2000). p. 10. ↑ Flavell, Eric. "The ASCE Code of Ethics: PRINCIPLES, STUDY, AND APPLICATION". ASCE. Retrieved Nov 27, 2013. ↑ Layton (1986). pp. 70 & 114. ↑ Layton (1986). pp. 124-125. ↑ Dietz, Burkhard, ed. (1996). Technische Intelligenz und "Kulturfaktor Technik". p. 29. ↑ Lorenz, Werner; Meyer, Torsen (2004). Technik und Verantwortung im Nationalsozialismus. p. 55. ↑ "Board of Ethical Review". National Society of Professional Engineers. 2013. Retrieved Nov 29, 2013. ↑ Transparency International and Social Accountability International (2009). Business Principles for Countering Bribery. Retrieved 2013-11-29. ↑ "Report Details Guidelines to Reduce Corruption in Engineering and Construction Industry" (Press release). ASCE. 2005-06-17. Retrieved 2006-10-20. 1 2 "NSPE Code of Ethics for Engineers". National Society of Professional Engineers. 2013. Retrieved Nov 29, 2013. 1 2 PEO. Professional Engineers Ontario Code of Ethics. Section 77.2.i of the Ontario Regulation 941. Retrieved: 2006-10-19. 1 2 3 4 5 6 7 8 ASCE  (2006). ↑ IEEE (2006). Code of Ethics Canon 1.. Retrieved: 2006-10-19. ↑ ICE (2004). p. 38. ↑ "Code of Ethics of Engineers". ASME. 2013. Retrieved Nov 29, 2013. ↑ IIE. "Ethics". Retrieved: 2011-6-01. ↑ AIChE (2003). Code of Ethics Retrieved: 2006-10-21. ↑ ANS (2003). Code of Ethics Retrieved: 2011-08-19. ↑ Weil, "Whistleblowing: What Have We Learned Since the Challenger?" ↑ See NSPE, Board of Ethical Review, Cases 82-5 and 88-6. ↑ NSPE (2006-06-30). "Final Report of the NSPE Task Force on Overruling Engineering Judgment to the NSPE Board of Directors" (PDF). Retrieved 2008-02-20. ↑ See the case of Shawn Carpenter. American Society of Civil Engineers (2010) . Code of Ethics. Reston, Virginia, USA: ASCE Press. Retrieved 2011-12-07. American Society of Civil Engineers (2000). Ethics Guidelines for Professional Conduct for Civil Engineers (PDF). Reston, Virginia, USA: ASCE Press. Retrieved 2013-11-30. Institution of Civil Engineers (2004). Royal Charter, By-laws, Regulations and Rules. Retrieved 2006-10-20. Layton, Edwin (1986). The Revolt of the Engineers: Social Responsibility and the American Engineering Profession. Baltimore, Maryland, USA: The Johns Hopkins University Press. ISBN 0-8018-3287-X. Petroski, Henry (1985). To Engineer is Human: the Role of Failure in Successful Design. St Martins Press. ISBN 0-312-80680-9. National Society of Professional Engineers (2007) . Code of Ethics (PDF). Alexandria, Virginia, USA: NSPE. Retrieved 2006-10-20. Alford, C.F. (2002). Whistleblowers: Broken Lives and Organizational Power, Cornell University Press. Fleddermann, C.B. (2011). Engineering Ethics, Prentice Hall, 4th edition. Glazer, M.P. (1991).Whistleblower, New York, NY: Basic Books. Harris, C.E., M.S. Pritchard, and M.J. Rabins (2008).Engineering Ethics: Concept and Cases, Wadsworth Publishing, 4th edition. Huesemann, Michael H., and Joyce A. Huesemann (2011). Technofix: Why Technology Won’t Save Us or the Environment, Chapter 14, “Critical Science and Social Responsibility”, New Society Publishers, Gabriola Island, British Columbia, Canada, ISBN 0865717044, 464 pp. Martin, M.W., and R. Schinzinger (2004). Ethics in Engineering, McGraw-Hill, 4th edition. Van de Poel, I., and L. Royakkers (2011). Ethics, Technology, and Engineering: An Introductio, Wiley-Blackwell.